Although combination skin is the most common type worldwide, there are also a lot of women who have dry skin. Not knowing how to handle dry or flaky skin throughout the day can get annoying. Sometimes it seems like no cream or foundation can provide enough moisture, coverage, or radiance. However, with some tips and tricks, a proper skincare routine, and the right foundation – you will be carefree! Don’t overdo it, but do it regularly. Women who have dry skin need to exfoliate their chin and nose area every two weeks. Facial exfoliators are not expensive at all, and they are a good idea if you have a lot of dead skin cells that need to be removed. Always apply your hydrating moisturizer in the morning when getting ready for the day. Also, make sure you have a proper night time cream as well since your skin type demands a lot of moisture and all sorts of different products. Use a hydrating eye cream, a lot of aloe vera based products, oils etc. 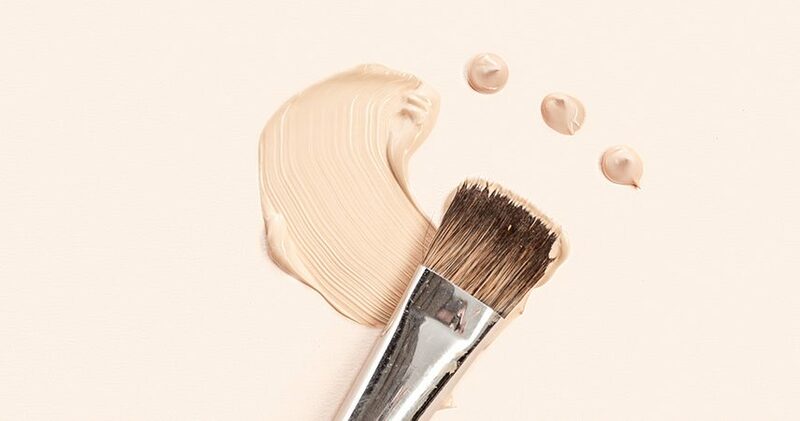 Always use a radiant primer before going in with your favorite foundation. You should apply a hefty amount all over your face with your fingers, and you should avoid using mattifying products at any cost. Some of the best primers for your skin type are: NYX Born To Glow Primer or Laura Mercier Radiance Primer. Now, the main step when purchasing a foundation is choosing the right finish. Women who have dry skin need a lot of luminosity and dewiness if they want to achieve that radiant look. Anything that is ”oil-controlling” is not a good idea for your skin since you need your oils to work their magic and to peek through. If you are someone who loves to contour their face, you should use cream contouring products. Purchase any cream contour sticks, contouring sets, creams etc. Once you apply these products set your face with a bit of powder. This is a better idea since you don’t want your skin to suffocate under all heavy powdered contours. 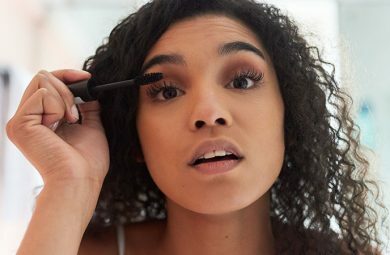 Once you apply your favorite foundation on top of your skin, as well as your cream contour, make sure you use as little powder on top as possible. Women who love to ”bake” should avoid this step since their skin will look uneven, dry, and flaky. Rather use a thin and lightweight translucent powder on top and only set some parts of your face that are the oiliest, and avoid dry areas. When applying any products on top of your face, make sure you use a wet sponge. The best option that you can reach for is the original beauty blender or any similar type of a sponge. Make sure it is semi-damp and that it feels moisturizing on your face. 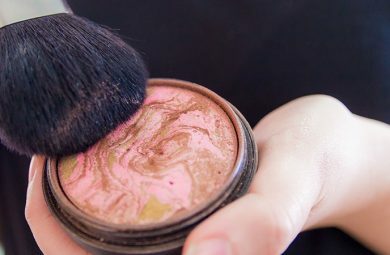 Once you are done with creamy products, add a bit of a powder with a soft fluffy powder brush. Lastly, the main step that you need to follow along is setting your foundation with some setting spray. Avoid using mattifying sprays and rather stick to radiant and softer ones. These sprays will hold your makeup for hours to come, and they will always feel cooling and refreshing on the face. You can also carry them with you (if you have a smaller size) and freshen up throughout the day/night. Sheer foundations are very lightweight and comfortable once applied on top of your skin. These are highly recommended for women who have dry skin, and who want to achieve a natural look. If you are someone who has clear skin, you are going to love this. 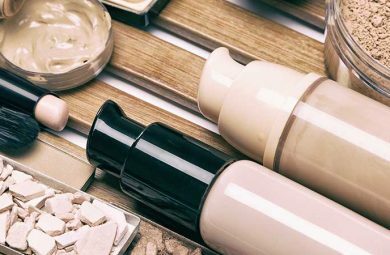 In most cases, sheer foundations are usually in the form of BB or CC creams, and they are filled with healthy and natural compounds. Dewy foundations are very popular since they give out that radiant and wet look kind of a vibe. 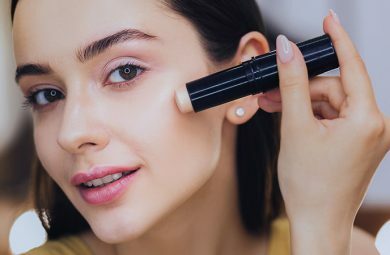 Women with dry skin usually gravitate towards these foundations since they are very comfortable and moisturizing once applied on top, yet with enough of coverage for your every day and nighttime activities. If you are in need of some coverage and you still want your skin to breathe, then you are going to love this finish! Matte foundations are the most full coverage ones out on the market. They provide a matte finish which evens out your face and covers any unwanted breakouts. Although this may sound like perfection, it is dry skin’s worst enemy. Women with dry skin can’t pull off this finish since their pores can’t stand the heavy weight of this foundation. Your skin will look dry and flaky, and the foundation will get into your smile lines a lot easier, so make sure you avoid this. In the end, there are several different options that you can choose. However, the ultimate winner would be a radiant semi-full coverage liquid foundation. This will provide moisture, coverage, and radiance!